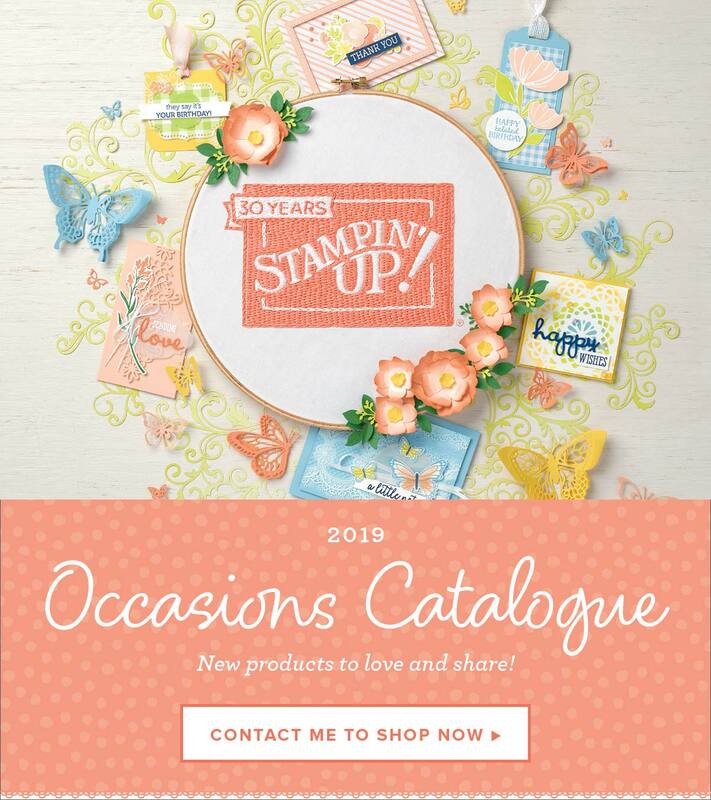 I’ve been having a great time playing with new product from the annual catalogue preorder (which commences June 1st). One of the new 12 x 12″ paper packs that demonstrators were able to preorder is called Affectionately Yours, it’s full of lovely floral patterns and two of the sheets are specialty papers that have copper foiled images on them and one of them I absolutely love (if I could order a whole pack of it I would!) and here is my first project using this gorgeous paper. One of the accent colours in this paper pack is copper and when I was searching for some inspiration I came across beautiful copper, white and black wedding themes which I’ve tried to recreate in this card. It’s not exactly how I wanted it to look because some of the products (coming so soon) weren’t available to preorder so some improvisation had to take place. The heart was die-cut using the Bloomin’ Heart thinlits set and the flowers were created by applying the matching copper washi tape to Whisper White cardstock and cutting them out with the flowers from the same thinlit set, some pearls in their centres finished them off. The congratulations (from Guy Greetings) banner was embossed in white on black and cut out with the thin banner framelit from the Gift Card Envelope & Trims thinlits and the other banner was made using the same technique as the flowers. I embossed the black layer using the Softly Falling embossing folder and added some touches of clear Wink of Stella for some extra sparkle. The inside is the part I’d like to change the most, the flowers from Bloomin’ Love are heat embossed in white, but I really really wanted them to be copper (copper embossing powder is a top item on my wish list). I hope you like my copper, black and white theme, I think it turned out rather sweet and I’m now counting down the days til’ I can get my hands on the other coppery goodies that are coming. Some of the products in today’s project are unavailable to order for a couple of weeks yet but there is plenty that is available and everything I’ve used is carrying over so you don’t have to worry about it being gone after the new catalogue commences.